Can I make repairs and deduct the cost from my rent? You must contact us to request repairs and we will respond as quickly as possible. Yes, you can. It is easy and convenient and available 24/7 from anywhere. 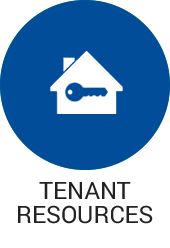 Our website’s Tenant Resources portal allows you to pay rent, request maintenance and view your account anytime from anywhere. Access Tenant Resources for instructions or login. All pets are subject to prior approval depending on the specific property you select. You can read more about our pet-friendly homes in our Terms and Conditions. You can obtain Applications Online in the Residential Rentals page of this website, at a property showing or download a pdf version . Each adult that intends to live in the property (everyone 18 years or older) must complete a separate application and pay the application fee. The application can be faxed or you may bring it to 101 Parkshore Dr., Suite 100, Folsom, CA 95630. How do I arrange to view the interior of a property? 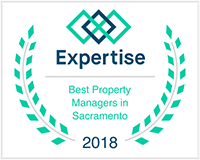 Drive by the property you are interested in to be sure that the age, condition, and surrounding area of the home is acceptable to you, then call our Rental Hotline at (916) 458-5244 to schedule an appointment. How do I get maintenance taken care of? 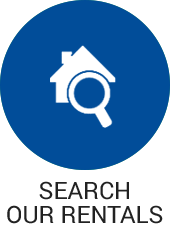 We suggest you contact our office or complete our online service request in your tenant portal. You can also call us at (916) 458-5244. For nights and weekends we provide emergency instructions at 916-458-5244. In a fire or flood emergency please call 911. Your credit is one of several factors used in your application. Our application process also considers income, employment, rental history and background. We process applications as quickly as possible. We must verify your employment, rental history, and credit. Verifiable rental history is required and is often the most difficult part of your application to verify. We will call you if we are having trouble obtaining any information. If we cannot verify information we have to move on to another application. If we already are processing someone else's application on the property you apply for, your application may have to wait for that application to be completed. Make sure the name of your landlord is the owner of the property or the property management company. Providing daytime phone numbers can shorten the turnaround time. 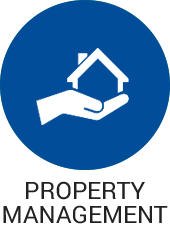 Your property manager will guide you through the entire move-in process. Once your application is approved, rental deposit and funds are received and the home is ready we’ll get you in right away. What are the criteria used to qualify? 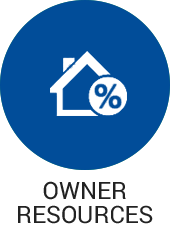 Three basic items are used as criteria to determine whether a resident will be accepted for a rental home with Residential Equity Management. The total income for the household must be at least 3 times the monthly rent. All income must be lawful and verifiable. We will ask for a current pay stub for each applicant. Other forms of verification may include: IRS 1040 (first 2 pages), court documentation, or county aid documentation. Credit reports will be run on all adult occupants wishing to rent the home. Applications will not be accepted if evictions, judgments or liens appear on the credit report. In addition, background checks will be run using online public data bases. Landlord history will be verified for the last 4 years. Again, if any applicant has had an eviction, the application will be denied. What breeds of dog are not permitted?